Am I terrible if I only reread this book from a desire to see Leonardo DiCaprio as Jay Gatsby this May? Probably, but I won’t be the only one. If you haven’t had a chance to see the trailer, this is the one to make the movie seem decent, but it may convince you that The Great Gatsby is more of a love story than it is. The book relies on F. Scott Fitzgerald’s poetic prose to flesh out a simple story; when you take away the narration, it doesn’t seem there’s enough for a movie without tedious voice-overs, but we’ll see. 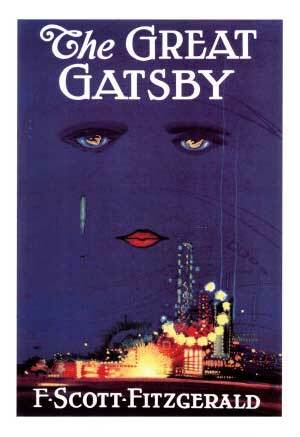 In a nutshell: Nick Carraway, the narrator, moves to a small house next door to Gatsby’s mansion on Long Island. After attending one of Gatsby’s opulent parties, he is asked to facilitate a meeting between him and Daisy, Gatsby’s former lover who is now married to Tom Buchanan. Gatsby intends to charm Daisy back to himself and things become tangled. This book may have been around since 1925, but I can’t bring myself to spoil the ending even if everyone read it in high school. Sure, I could understand that in theory, but I hadn’t felt firsthand what it was to put someone on a pedestal and subsequently learn I didn’t know them at all. I believed everyone else was putting their crushes on pedestals, but that I was building real connections with mine because we were fundamentally alike. That’s how it felt. I just didn’t know enough to know that everyone else was feeling this way too. (It’s hard to write this here, that I was frequently lovesick and an idiot in high school, but I underestimated how much my teenager-ness shaped the way I saw Gatsby and the happy ending I thought was coming.) Anyhow, the scenes when Gatsby’s vision of Daisy crashes into Daisy as she is are brilliantly written. I say all this because it’s hard to convince people to read a book they’ve already read. I get that. Life is short. But this book is so much better now than when you read it in high school. (I can mostly guarantee that.) And if you hated it in high school, it’ll be a low bar to enjoy it more the second time. So there. This book also has the best kind of narrator: the kind you can’t completely trust. Nick can be relied upon to give an accurate recount of who/what/where/when, but he’s clearly biased in Gatsby’s favor. He’s nice and well-connected enough to be given a front row seat for a dramatic scenes, but he’s not so dynamic as to shake up the plot. There’s the sense that if Nick weren’t there to shove Gatsby and Daisy together, there would be someone else to do the job. The characters are static and limited to their strict roles (Gatsby: dreamer, Daisy: golden girl, Tom: brute) and Nick is there to pull them and the story together. When they all bicker, Nick is set to the side and becomes little more than an observer; it’s easy to identify with him. “She’s got an indiscreet voice,” I remarked. “It’s full of—-” I hesitated. On the subject of Daisy: yes, she is a weak character. She’s barely there at all (something else that will likely change in the movie). But this isn’t a failing in the book since it’s never really about Daisy so much as Gatsby’s vision of her. Translation: Lots of things are better after high school, this is yet another.